Samsung Galaxy A, the first metal-clad smartphone released by the South Korean company, have been successful enough to worth not one, but several sequels. Last month we reported that Samsung filed for Galaxy A6, Galaxy A8 and Galaxy A9 names, and judging from previous experiences new devices bearing these names will most likely be launched on the market during the year. The first one to be launched seems to be Samsung Galaxy A8, which has just leaked online along with its specs. According to SamMobile, the Galaxy A8 is a mid-range smartphone that will most likely feature a premium look, just like its predecessors. Source close to the matter confirmed Samsung is indeed working to bring the Galaxy A8 to the market and some of the phone's specs have just emerged. It appears that the next Galaxy A smartphone will be equipped with a 64-bit octa-core Qualcomm Snapdragon 615 processor and 2GB of RAM. Samsung's Galaxy A8 will be packed with 16GB of internal memory, but there's no mention of microSD card for storage expansion. Although the device is currently powered by Android 5.0.1 Lollipop, Samsung Galaxy A8 may ship with a new version of the operating system. 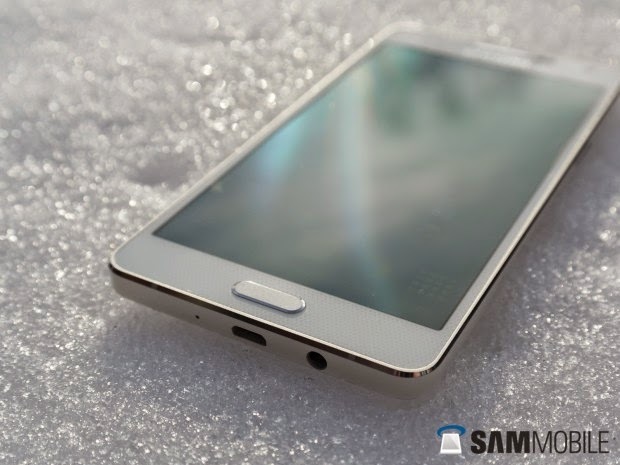 Furthermore, the smartphone will boast a large 5.7-inch full HD (1080p) Super AMOLED capacitive touchscreen display. Even with that big screen, the Galaxy A8 will be thinner than Samsung's flagship smarpthone, the Galaxy S6. Rumors has it Samsung Galaxy A8 will be only 5.9mm thin and it will weigh around 140g (battery included). We also know that the handset will be powered by a large 3,050 mAh battery, but it's unclear whether or not it will be removable. Last but not least, the next Galaxy A handset will be packed with LTE support and TouchWiz UX, the same that's been included in Samsung Galaxy S6. For the time being, the smartphone is expected to be launched in China, but we expect it to be released worldwide soon aftrwards.